Better Machines is an up and coming band from Hammonton, NJ, a place where the local music scene is at a very strong point. Many of the members of this band are involved in other bands such as Family Values, Clearview, Samsara, etc. 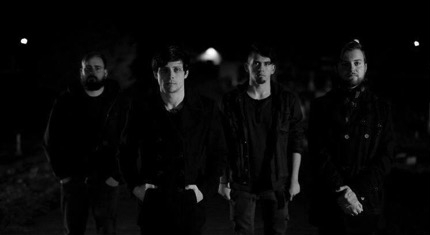 Their new EP, Honesty, was recorded by one of their own members at Blue Light Digital Sound. Blue Light is a Broadcasting and Media Production music space located in Mount Holly, New Jersey. They have worked with a number of local bands and musicians such as Space Cadets, Tides of Deception, and Tru Elite to name a few. This release show will be held on June 24, 2016 at the Mays Landing VFW hall through Emerson and Grandaire Booking. The show will be $8 ($6 before the first band) and it starts at 5:30PM. Get there early and save yourself that two dollars so you can go to Taco Bell after the show. You will thank me later. Clearview will also be debuting their second official Music Video for their song, “Next Two Years,” filmed by Danceondeadman at the Sunroom. Be sure to check into their Facebook event to confirm you’re attending!